All of us have gone through some hard time in life, and that's exactly how we know that it's jus t a period of time that will be over sooner or later. The manin character of the Awakening series is having one challenge after another following her like a tail and keeping her from reaching what she dersires so much. The game play is very interesting and entertaining and challenging. You are to join the princess from the previous releases (if you played them, if not - you should check them out). Princess Sophia is still trying to find and awake her parents and live happily ever after...finally. This time she takes the journey to an enchantress but hoping for a safe trip would be wrong! The game's graphics are so dellicate and fairy-tale-like - matching the story very much. And the sounds and This is not new for the series actually. The audio-visuals have always been of high quality. The game play is very interesting and entertaining and challenging. Awakening: The Sunhook Spire Collector's Edition features everything you need in a hiddne object puzzle adventure collector's edition game. The puzzles are very interesting because of the twists that make them inventive and fresh. 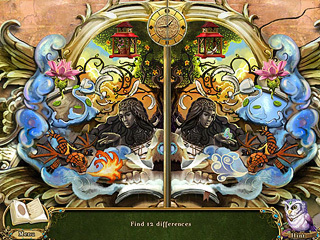 There aren't too many hidden object scenes, but the ones that you will play seem quite challenging in a new way. 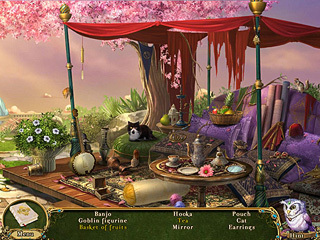 The game features achievements and morphing objects and much more. Awakening: The Sunhook Spire Collector's Edition is a great game with a seemingly non-ending story and fun. This is Awakening: The Sunhook Spire Collector's Edition review. Download this game here.